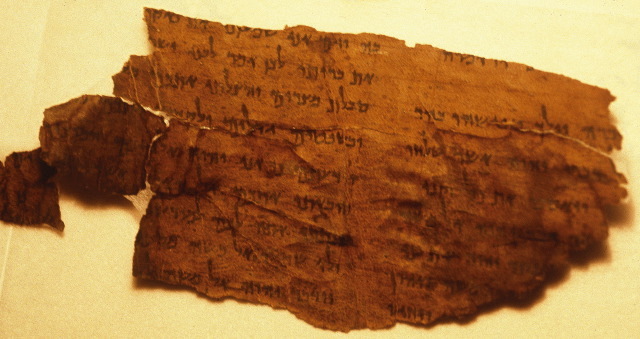 Alas, there is no such passage in any of the Dead Sea Scrolls — none of which, incidentally are as old as 2500 years. This quotation actually comes from a modern apocryphal gospel called The Essene Gospel of Peace, which you can read online here. It was published in the twentieth century by one Edmund Bordeaux Szekely. From the content, it is obviously a modern composition. Back in 2008 I noted it when it was cited for its advice on administering enemas. Cross-file under New Testament Apocrypha Watch.